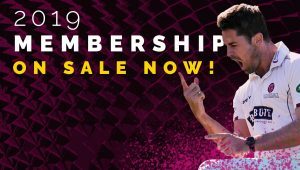 To commemorate the centenary of Armistice Day on Sunday November 11th, ECB has launched Cricket Remembers, a campaign to remember the cricketers who fought in the First World War. County cricket was suspended between 1914-19 and at least 210 cricketers served in the First World War. To mark the 100-year anniversary of the Armistice, ECB commissioned cricket historian David Frith – founder editor of Wisden Cricket Monthly and author of more than 30 cricket books – to create a collection of the remarkable stories of the County players who fought in the First World War. His feature, titled ‘County Cricketers and the 1914-18 War’ is published on ECB.co.uk today and tells some of the most poignant and heroic war stories from across the county game. 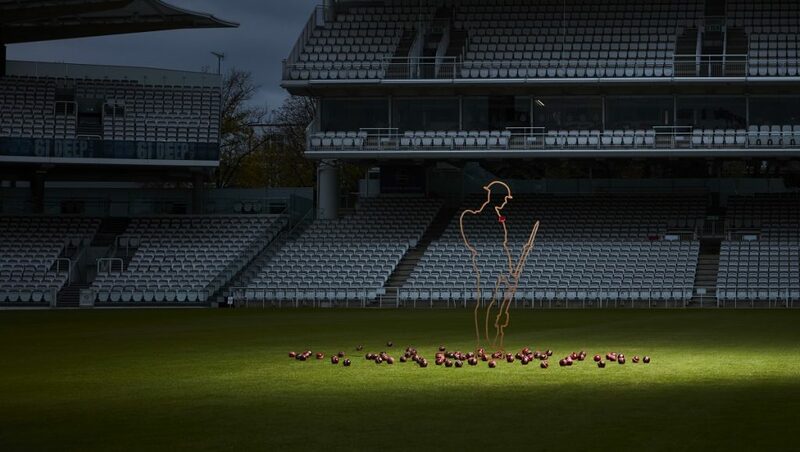 ECB and MCC have also partnered with the charity Remembered on their nationwide project, There But Not There, to create a set of iconic images of a Tommy silhouette at Lord’s Cricket Ground. There But Not There commemorates those who fought and died in the First World War and aims to educate all generations about why they made the ultimate sacrifice. To support the campaign, ECB is inviting people to share their own stories of the contribution cricketers made to the First World War using the hashtag #CricketRemembers. This week, three England cricket teams will also commemorate Armistice across the world with the Men in Sri Lanka, Women in West Indies and Lions in UAE. Tom Harrison, ECB Chief Executive Officer, said: “Cricket Remembers highlights the contribution made by people from cricket to the nation’s war effort. We can only imagine the courage of those who went to fight and it is important that we commemorate their sacrifice. In his piece published today Frith recalls some the most remarkable stories from cricket in World War I. Examples includes stories such as Andy Sandham, who in 1930 became the first player to score a Test triple-century, after being sent home from World War I due to injury, and Warwickshire cricketer Percy Jeeves, who was killed in France in 1916 but forever immortalised by P.G. Wodehouse’s famous valet, Jeeves, in his bestselling books. David Frith, founder editor of Wisden Cricket Monthly, added: “As someone who had four ancestors fight in the Great War, two of whom never returned, and someone who has an enduring love for cricket, this project is very close to my heart. “The service and sacrifice made by the county cricketers and the countless more “ordinary” cricketers who were killed while fighting for their country remains incalculable. 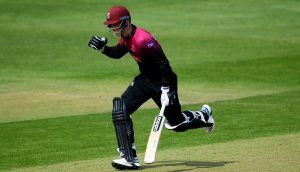 “With this campaign I hope we can at least acknowledge the vast contribution of cricketers from the length and breadth of the British Isles and beyond to one of the most cataclysmic conflicts of our era”. Fittingly, the There But Not There Tommy silhouette was photographed in front of the Pelham Warner stand, remembering the ‘Grand Old Man’ of English cricket who contributed to the war effort himself, serving as a Captain in the War Office. 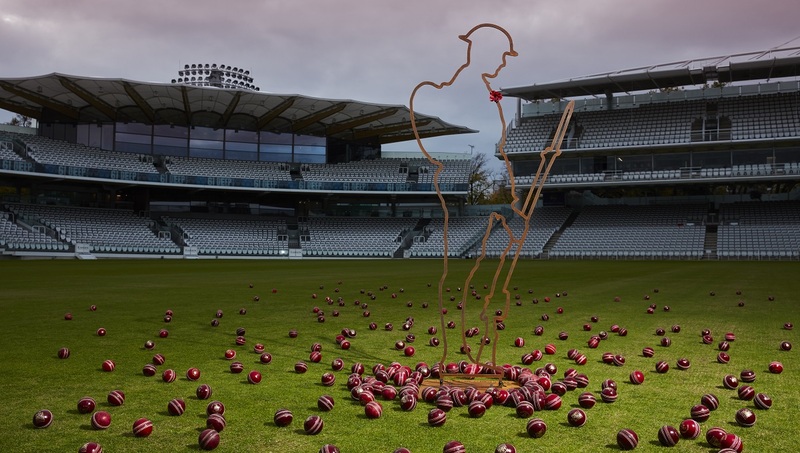 Rowley Gregg MC, Director of Operations at Remembered, added: “It is wonderful seeing a There But Not There Tommy in such an iconic location to remember the many cricketers who lost their lives in the First World War. “Their losses were felt in counties across England and indeed in teams across the Commonwealth; First Class Cricket was abandoned in countries around the world, from the West Indies to Australia and New Zealand, which shows just how many young sportsmen were taken away to fight.